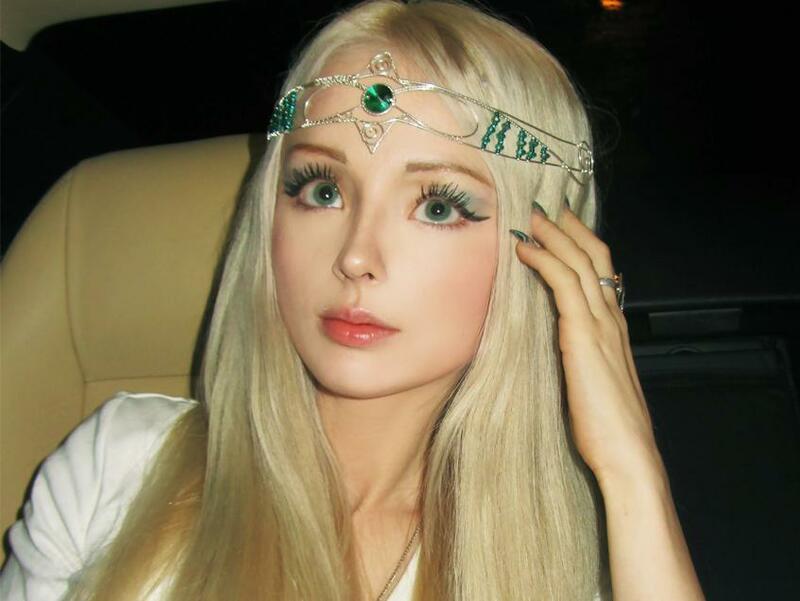 30-year-old model from Odessa Valeria Lukyanova, who is known worldwide as a model and entertainer, notable for her resemblance to a Barbie doll, gave an interview to western media TooFab. Reporters talked to Valeria in Los Angeles, where she arrived for filming a horror movie "Doll". She answered questions about plastic surgery and attitude to her appearance. Amatue (second name of Valeria) became Internet sensation in 2012. The number of her subscribers on Instagram is more than 300 thousand. Who sees a girl, always wonders how much plastic surgery she underwent. “I'm not against plastic surgery. In the future, if necessary, but certainly not in the nearest future: now I am completely satisfied with my appearance”. - Said Valeria to reporters. Appearance of the girl is her cult. She wears a special lens, increasing the iris, and applies makeup for an hour and a half daily. Amatue said that she does not like being called a human Barbie. When asked about the biggest misconception about her Valeria said: “People need to understand that the person should be judged by the personal qualities and not by appearance. People think that I've underwent several cosmetic surgeries to create a doll appearance. They do not know that the appearance is only the echo of my inner world”. - Complained Valeria, who devotes her free time to writing, music, conducting seminars on spiritual matters, as well as trying her hand as a DJ.